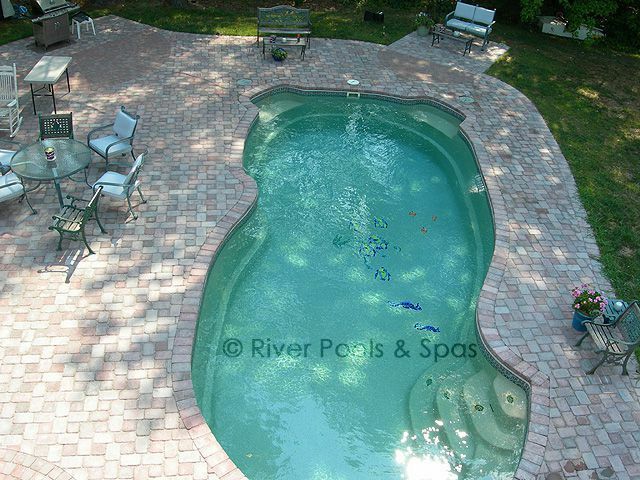 One of the most under-utilized options for fiberglass pools (in my opinion) is the coping material. Many people assume that cantilevered concrete coping is the only alternative…simply not so. The purpose of this article is to outline the two most popular types of coping on fiberglass pools (at least in our area). These are paver coping, or what could be considered brick coping, and cantilevered concrete coping. We’ll look at the advantages and disadvantages of each. Durable: One continuous piece of coping, so less likely to move or shift over time. Finish issues: Because it’s a poured-in-place product, there can be inconsistencies in the finish depending on the concrete finisher and the quality of the concrete. Roughness: Some customers complain that it’s just too rough. Cracks: when the pool deck develops a crack, it continues down the face of the coping. Consistent Finish: Because the product is laid rather than poured on site, there is more opportunity for quality control. Therefore, paver coping tends to give a more predictable look and finish. Color Matching: If pouring cantilevered concrete coping with colored concrete, any patching or parting of the coping after the forms have been removed must be mixed on site to match the rest of the deck. This is obviously not an issue with paver coping. Cost: In most cases, paver coping is an upgrade and costs can range from $40 to $50 per linear foot. Because they want to create a border effect around the pool to achieve a certain look (aesthetics). 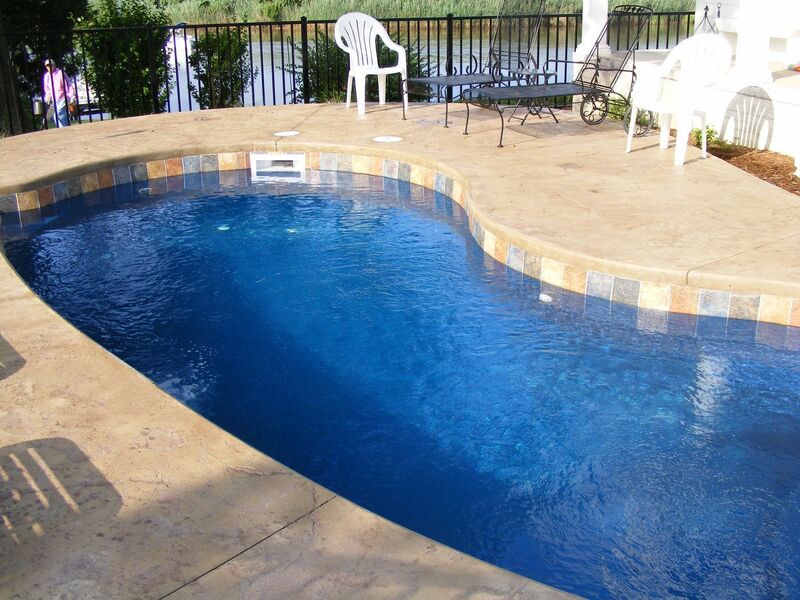 Well, there’s a quick breakdown of two of the most popular types of coping on fiberglass pools. Some other types of coping commonly used on fiberglass pools are coping stones, and natural stone, such as travertine or blue stone. It’s safe to say that they differ in the same ways from cantilevered concrete as paver coping outlined above. What’d I miss? Please share questions and comments below. Editor's note: This blog article was updated on October 24, 2018.